Millennium 7 Publishing Co.: Social Media Perception Of YOUR Brand? 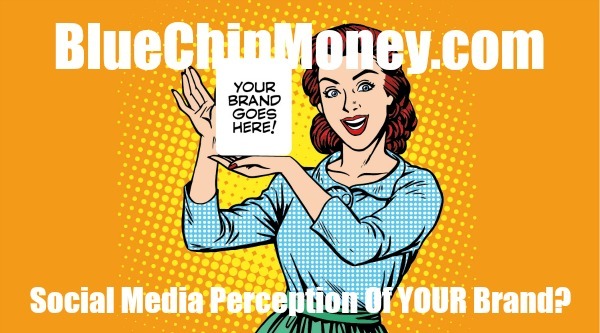 Social Media Perception Of YOUR Brand? Branding for SME: Can social media influence brand perception? Today's widespread digitization warrants every business, big or small, to have a social media marketing strategy. Social media is essentially anchored around interactions between people. It allows personalization of broadcast messages which can be updated swiftly to keep target audiences acquainted with the rapidly changing business dynamics of the company. A lot of research conducted recently suggests that consumers today are spending over an hour each day on digital media, with a major chunk being on social media alone. Therefore, it is not surprising that social platforms are major contributors to their buying decisions. The concept of social media marketing holds even more importance for SMEs today as it has the power to make or break a brand, depending on how well or poorly these strategies are developed and executed. By giving a brand the social media touch, one not only generates more business but also connects with your customers on a higher engagement level, thus making the digital marketing strategy execution easier. Related Article: Kevin Hart Social Media Branding? The reason why social media works is that it gives a sense of assurance to prospective customers and lets them know about the benefits of a product, without hard selling it. Social media is bustling with activity that can be used to this end. If someone comments on a Facebook post, praising its products and services, it is wise to use it. When someone tweets about how the product changed their life, again, it will be prudent to use it. Same when someone posts a happy Instagram picture of themselves enjoying the service. It is quite simple: "You cannot change what you are not aware of, and once you are aware, you cannot help but change", quoting Sheryl Sandberg, Chief Operating Officer at Facebook. Every single branding strategy starts with building brand awareness. That is the first line of thought, any business, especially a small and medium enterprise, needs to ponder upon. There is no compromising here. Social media increases your reach and helps more people learn about a product or service much faster and in a more cost-effective way than traditional media. This is critical for SME's, since their marketing budgets are extremely frugal and need to be used wisely and effectively. It does not take long for most new small businesses to see how expensive traditional marketing - print or digital ads, postcard mailers and the like - can be. Those tools can still be important for a business, but cost-effective social media can be used to stretch marketing budget substantially. Having best customers post on their Facebook accounts about the great service they received from your business can be more powerful than placing an ad about your service. Generating leads through social media is also more lucrative for SME's as it not only helps in increasing conversions. It also allows them to engage with their target customers, key influencers like analysts and investors, and gives a wide visibility to their businesses. According to a recent survey by Ambassador, 71% of consumers who have had a good social media service experience with a brand are likely to recommend it to others. This survey finding indicates that the use of social media as an effective customer service tool leads to an increased brand engagement and wins new customers. Another survey by a Nielsen and McKinsey company suggests that around 60% of consumers researching products online get information about a brand or company through social networking platforms. These social networking platforms are so versatile that most of the product reviews, customer feedbacks, product ratings and user information are easily found here, making them the first place for consumers to look for. This could either make or break a brand. Related Article: Branding And Social Media Marketing Weapons? Witnessing such an astounding growth, every business today needs to leverage appropriate social media channels in the best possible way. Furthermore, statistics point out that a well strategized social media marketing campaign has a positive impact on a business' brand building and cannot be ignored. However, more than 85% of young businesses are not sure which of the social platforms and tools would benefit them the most in marketing their brand. If done right, social media marketing can prove to be really cost-effective in the long run. As of today, even the paid social media campaigns, such as Facebook Ads, are cheaper than other advertising options such as search engine ads. This means there is a higher return on investment. Guest Authored By Rakesh Yadav. Rakesh is CEO and Co-Founder of AdGlobal360. He is also an active member of the entrepreneurial community and works towards creating an ecosystem for future startups to benefit from the experience of successful predecessors in different domains. Follow Rakesh on Twitter. Jumping on the social media bandwagon is no longer a matter of choice, if you want to succeed. Your business needs it.